Djemila is a unique archaeological site located in North Africa. 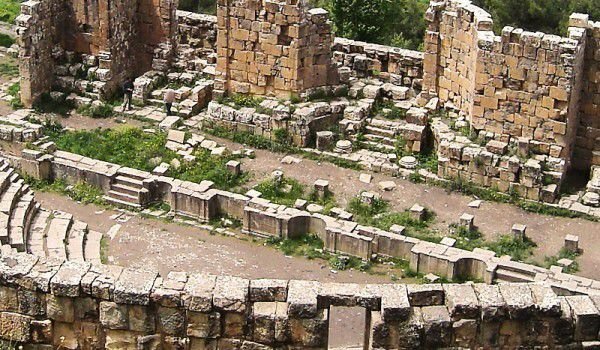 This historical monument is located 50 km southwest of the city Setif and 150 km east of Constantinois. Locality is in the list of World Heritage by UNESCO since 1982. Built 900 meters above sea level, Djemila today is the ancient Cuicul. Under this name the city was built in the first century AD as a military garrison located on a triangular plateau close. The terrain is crossed by two rivers. Originally Djemila was inhabited by a colony of soldiers, but over time has become a major commercial center. The reasons that contributed to the prosperity of the city were mainly farmers that there had successfully grown cereals and olive trees. The first thing you'll see there is the museum, which is a sort of sign of the cultural monument. Within years they found there many antique treasures and space for their disclosure of becoming less and insufficient. The city has had two forums and a theater which is situated immediately behind the city walls that could accommodate about 3000 people. In the fifth century, according to archaeologists, the residents had left the locality, and in 1909 began excavations at the site. "European house" is the most attractive part of the ancient ruins. It consists of 18 facilities built around the courtyard. Another tourist attraction is the Urban Spa. For centuries their existence has been managed to be preserved in a pretty good condition. Everywhere you can trace pipes and double walls of the channels through which crossed the warm water. This is where you can see the most important remains of the Roman times across the continent. The Forum consists of temples, houses and the triumphant arches of which are an interesting example of the Roman town built on mountainous terrain. And although a relatively small area, the remains have been preserved in excellent condition to this day. In a specially built museum Djemila tourists can see magnificent mosaics.